It is no secret that unemployment and poverty are two of the major problems in Ghana. 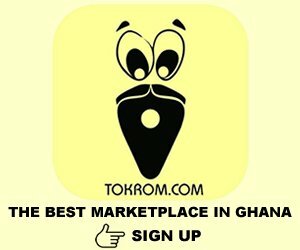 Luckily though, along with providing accessible Internet services, the government of Ghana makes it possible for people to take a shot at making money online. Of course, just like any other job or activity that generates an income, doing so online requires preparation and commitment in order to succeed. Creating content for YouTube is often used as a mean to make money online if you get enough subscribers. Another option is creating an online store to sell different products, however, both of these options require a lot of time and investing. Don’t lose hope just yet as there’s another appealing choice for those that want to make money online. Affiliate marketing is the industry that is booming for some time now and anyone with an internet connection and enough followers can get into it. • You need to make sure you find a trustworthy business. Referring people towards shady products or services will shatter your credibility, therefore, you will lose a large portion of your followers. • The services or products being offered by the company should deliver a significant profit so that you won’t need to sell a lot of products in order to make a living. A great example in that direction comes from the gambling industry where you can make good money with just a couple of registered players. • Also, make sure that you have a decent deal regarding the length of the commission rates. Always look for deals that offer you a lifetime rate since that means you earn from the entire lifetime activity of the traffic you refer. While there are multiple options when it comes to affiliate programs that are reliable and profitable, the gambling industry is the richest and the 1xPartners program from 1xBet is simply excellent. In case you haven’t heard about them until now, 1xBet is a sports betting company with a global reach and an spotless reputation. They recently took the big prize for Rising Star in Sports Betting Innovation from SBC, confirming all their efforts for delivering the best experience for their customers and partners. The high-quality services they provide make it easier for any affiliate to promote 1xBet and, most importantly, it keeps customers active and loyal for a very long time. Customer satisfaction is the cornerstone of 1xBet. This is backed up by the 49 languages they translated the entire website into and the multiple choices when it comes to the currency of accounts. The conversion rates are very profitable and you can fully enjoy the bets and casino games offered. All this contributes to an awesome experience, one that can lead to further recommendations in the future. The beauty about gambling affiliate marketing is that you don’t need a lot of referrals to generate a constant income. Remember that you get a lifetime commission and if you get a group of constant players, that’s all you need. If you also manage to land one or two big casino players, that’s even better. – Very profitable commission rates. Bring in new clients and watch profits soar! – A fully legal and licensed product. – Ready-made marketing tools that are effective and simple. A high-quality banner can make the difference sometimes. – We make your business unique by designing a custom-tailored approach. – Every 1xBet product ( sports betting, casino, table games ) will earn commision for you.